Your Ticket To A Brighter Future! HP has recently unveiled its Spectre 13.3 notebook, the skinniest in the world, at a luxury conference in Versailles. Sizing up at a mere 10.4 mm thick (about 4/10 of an inch) the newest Spectre is about as thick as a AAA battery. Shedding HP’s traditional businesslike look, the new laptop takes its style cues from Jewelry and Purse lines. In addition to its style, the Spectre brings the power utilizing Intel Core I5 and I7 chips with up to 8 GB of RAM. The notebook also boasts a 9 hour battery life thanks to its innovative 4 cell design and audiophiles will recognize the Bang & Olufsen name adorning the audio components. 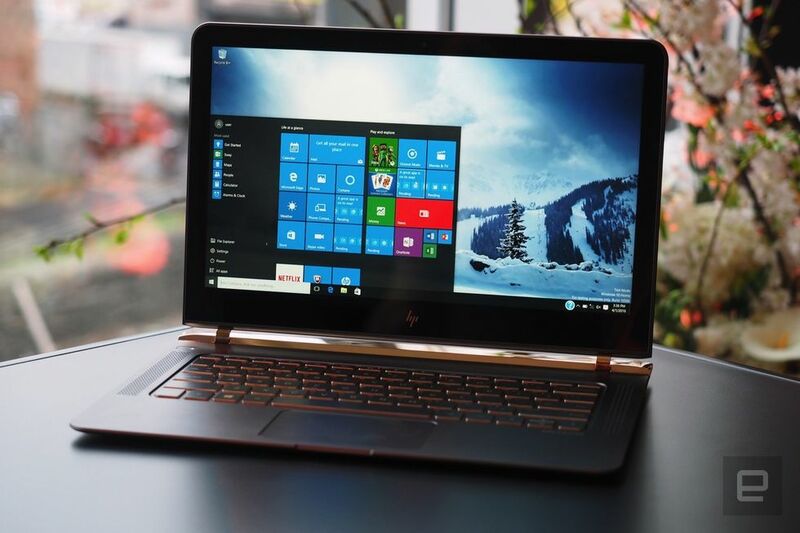 HP hopes the trendy, yet powerful, model will reinvigorate and reverse recent trends. HP sales in its laptop and desktop lines dropped 11-14% in the fourth quarter of 2015. Presales of the Spectre 13.3 will be available April 25 through BestBuy or directly from HP.